Automates key processes of your business in minutes. Whether you are a small business owner or just starting up, Encircle provides you with the right set of tools to track and organize your business activity with zero maintenance overheads. Manage your customer, vendors, contacts with one centralized repository for your entire company. Build stronger customer relationships, track and manage call histories and support cases. Keep you projects on schedule, plan and track every aspect of a project. 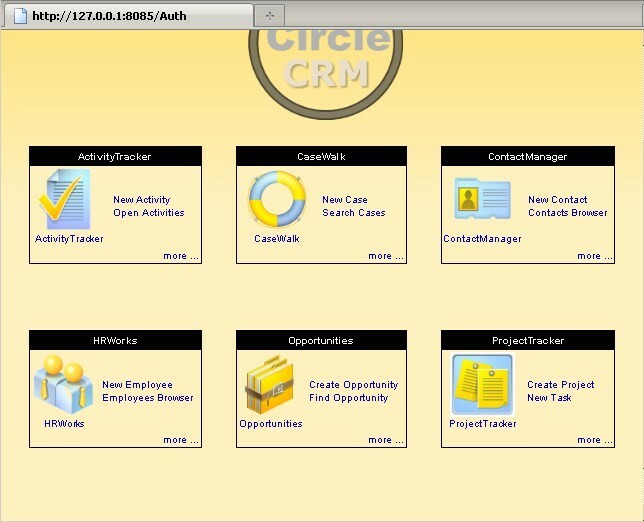 EnCircle can be accessed as a desktop application as well as a web based service within your network. No recurring subscription charges, Will be deployed inside your company.